As part of our ongoing commitment to supporting local organisations in the region, we are delighted to announce that we are the official gold sponsor of the Hong Kong Society for Referees for the domestic rugby league on a three year sponsorship contract beginning 2015. The referee is an integral part of every game in any sport; they must maintain a high level of fitness and are not always the most popular people on the pitch so their commitment to the game is particularly admirable. Furthermore the domestic rugby league of Hong Kong has gone from strength to strength in recent years and none of this is possible without the commitment of the referees and the investment by the HKRU into the referee program. We felt that this partnership was especially relevant since the main aim of a referee in any sport is to guide and direct the players to ensure a fair outcome; this is something that lawyers do on a daily basis. Tanner De Witt’s long-standing involvement in the rugby scene in Hong Kong continues. Several members of the firm having represented Hong Kong at the national level including Rowan Varty, who is still a professional player and Kim Boreham. Promote enjoyment of the game at all levels. The HKRU is the governing body for rugby union in Hong Kong. 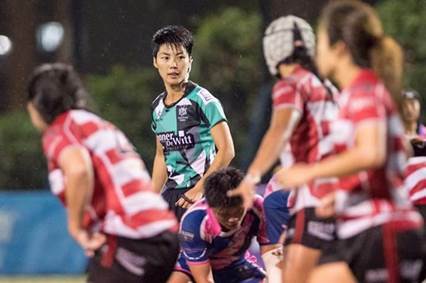 Founded in 1952 and since 1988 an affiliate of World Rugby (formerly the International Rugby Board), the union organises the world-renowned Cathay Pacific/HSBC Hong Kong Sevens as well as its own domestic leagues across all age groups, genders and standards of play. 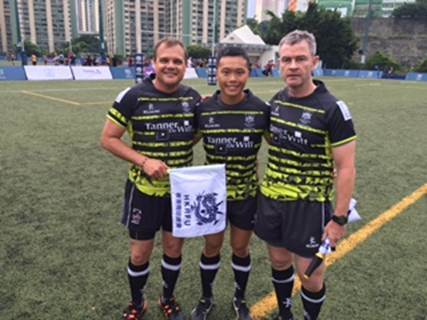 If you think you’ve got what it takes to be a referee, contact referee@hkrugby.com. For sponsorship enquiries please contact us.